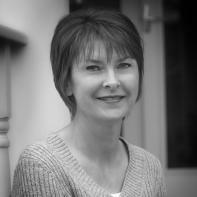 Virginia Smith is a graduate of Northwestern's MFA in Creative Writing Program. Her poems appear most recently, or are forthcoming, in 2River View, Denver Quarterly, The Jet Fuel Review, Rattle, Stirring, and Weave. possible to avoid: you are already here. framing the space where the car had been. newly cropped view: there will be no child. The absence of child is also an image. stone houses drowned, wrists a thin spire. a cup holding all our suns. in the nod and sway of limbed shade. The city creeps near, with its windows turned off. headless necks, the air violet with early spring. perhaps just laundry hanging from balconies, but the shadows don't know they're from shirts — Fernando Pessoa.